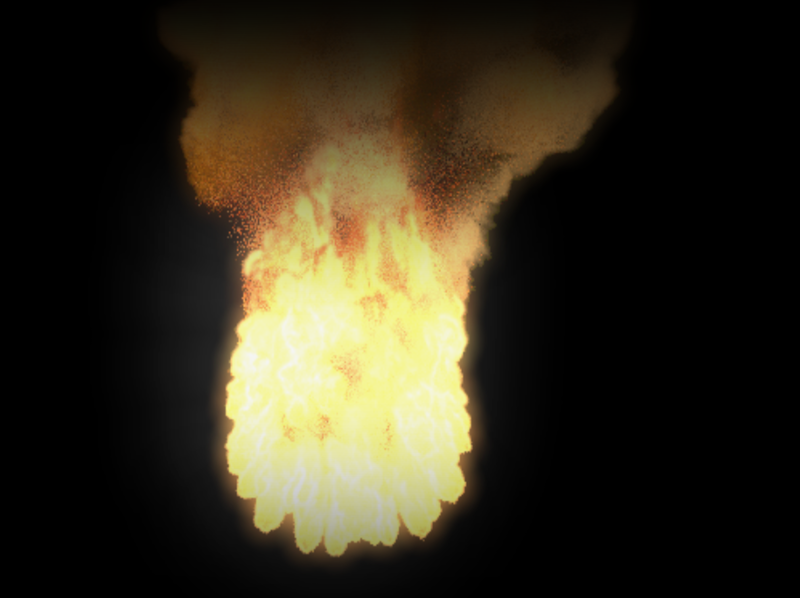 FREE FIREBALL / EXPLOSION ELEMENT RENDERED IN 3D, 720p .MP4 FILE. Against black background. Just one short clip, seven seconds long. Could be keyed or you may do fine just with using blending modes. The clip you'd be downloading, is essentially the same as what you can see in the .GIF except higher resolution and without the text. As usual, you are permitted to use it in projects for non commercial or commercial use, and do not need to credit me. While you could donate, and that'd be nice, I'd rather you instead buy one of my (far bigger and better) paid items on Itch.IO. And please take the time to leave brief reviews of whatever you buy or download from me as this will be helpful to any future customers or downloaders. Thanks!